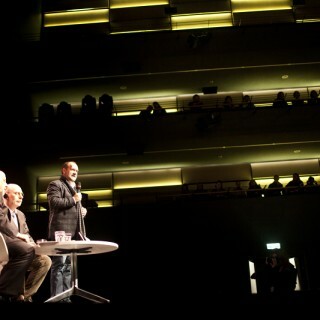 I write about Russia to understand it – said Boris Akunin at the meeting in the ICE Kraków Congress Centre. Earlier Etgar Keret had talked about his relations with his son, whilst Mircea Cărtărescu explained his connections with Kafka. 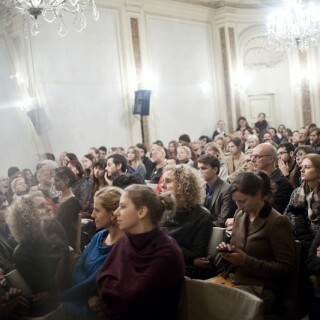 This was another day of the 6th Conrad Festival. Boris Akunin is a true star of world literature. 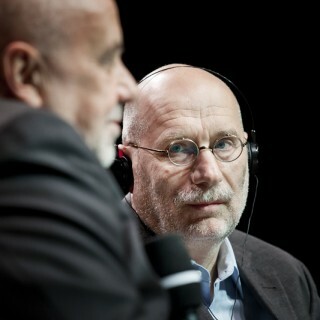 According to calculations made by Wacław Radziwinowicz who moderated the evening debate with the Russian writer, throughout 16 years Akunin has written 54 books. They include various stories and genres, but the readers like the series about Erast Fandorin the best. So far fourteen volumes have been released – two more are coming. I am a child of the planning economy – laughed the writer. So there will be sixteen Fandorins altogether, just as I have promised. 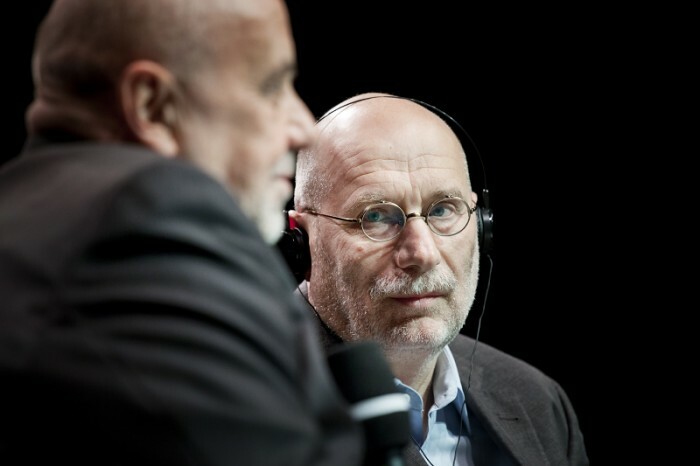 Besides, I’m here in Krakow to check something… – said Akunin, but did not want to reveal what he meant specifically. The author of Azazel admitted that a creative ordeal is not his case. When I turned 40, I just said ”enough”’ – he stated. I decided that I must find a hobby and make it my job. Akunin confirmed that his is planning to focus on a history project – creating an eight-volume series about the history of Russia. Each book will be accompanied by a piece of fiction. A meeting with Akunin didn’t lack questions about politics and the present situation in Russia. Everybody seems to be drunk now – said the writer referring to the huge support Vladimir Putin enjoys in his country. Let’s remember that 80 percent of people base their knowledge on television, i.e. a propaganda instrument. But this is not going last for long. In Akunin’s view, Russia is now taking an exam as a mature country, but soon will have to part with the second millennium and enter the new one. But how will it happen? I would very much hope to see it happen without any social upheavals, but it’s hard to imagine – stated the writer. Neither Etgar Keret, the guest of another Festival’s meeting, strayed from politics. Typically for Keret, brilliant metaphors were on the menu. At one moment he even compared the never-ending Palestinian-Israeli conflict to the situation of an animal which got used to one, well-tested watering place, because it doesn’t want to experiment with the new and the unknown. Wives who return to their toxic husbands behave very much the same way – explained Keret the mechanism of the war which still carries on. We return to what we know very well because we fear the unknown. This war in this case functions on a much similar basis. The Israeli writer with Polish roots confessed that he feels better in Poland than in any other country. The French or the American identity is a simple thing: you eat a croissant or a hamburger and utter some racist slogans. And it’s clear who you are. However, the Poles, just like the Jews, always ask the eternal question about their own identity. The writer also admitted that he liked an outsider’s perspective very much. In Israel I have a problem, because when I’m at home, solving problems is more difficult. Keret also talked about his relation with his son, which he compared to writing. However, when I write, I don’t have to worry if someone gets a cancer or if the ozone hole grows because of my writings. It all refers to the worlds of fiction– he said. But when I am the father, things happen in reality. I remember a situation when I once shouted at my son. Then, as if I realised what had happened, I started crying and I hugged him. Then my son said: ‘Come on, Dad! Don’t worry! Nothing has happened!’. It was a difficult moment for me, so if I had a choice to be a better writer or a better father –I would chose the latter. Every author must ask himself or herself the question who he or she is – stated the writer. I am looking for my own truth. Cărtărescu stressed that writing is for him not an end it itself but rather a means. This was also the case with Kafka’s writing. He wanted to explore his internal world through literature. . The meeting with Monika Sznajderman, the head of the Czarne publishing house, was also devoted to the mechanisms of the functioning of literature in the world at large. 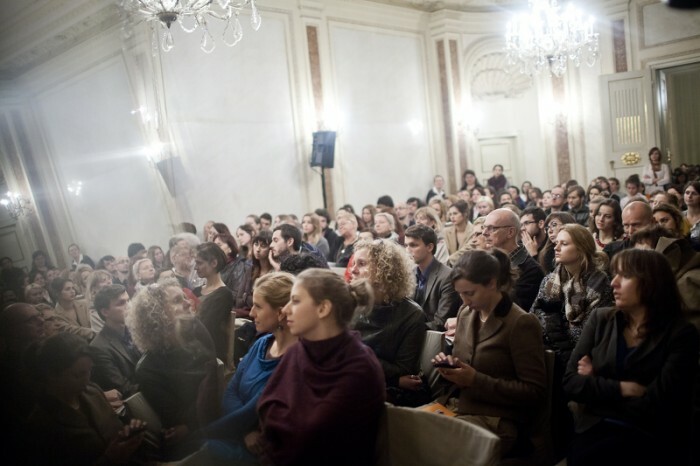 The discussion, the first one held under the series A Book: How do You Make It – focused around the problems of a niche publishing house which has managed to survive on the difficult book market and to publish many important titles. Yesterday another reading lesson was also held. Guided by Jerzy Jarniewicz, students analysed Philip Larkin’s High Windows. Early in the afternoon, Lawon Barshcheuski, a Belarusan writer on an ICORN scholarship in Krakow, talked with Małgorzata Nocuń. 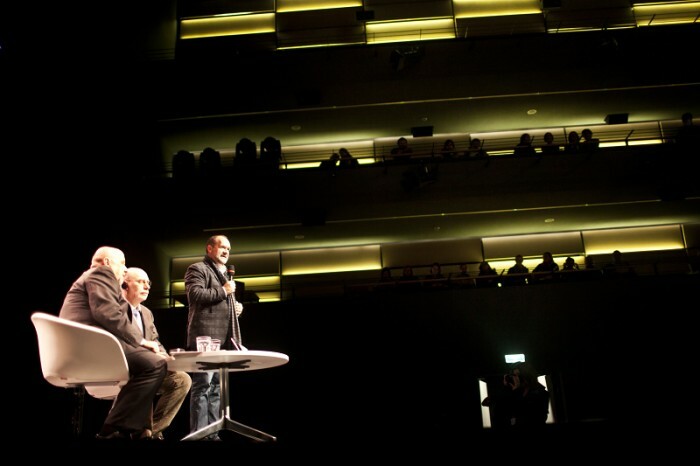 The debate between Victor Horvath and Krzysztof Varga, a Hungary-Poland duel in its sort, closed the Festival’s Thursday. Friday at the 6th Conrad Festival will be devoted to a meeting with Michał Olszewski and Kateřina Tučkov, a debate about Silesia with Ryszard Koziołek, Aleksander Nawarecki and Szczepan Twardoch, a meeting with Jacques Rancière, and, last but not least, an evening with Jaume Cabré. The Conrad Festival is a joint project of the City of Krakow, the Krakow Festival Office and the Tygodnik Powszechny Foundation.